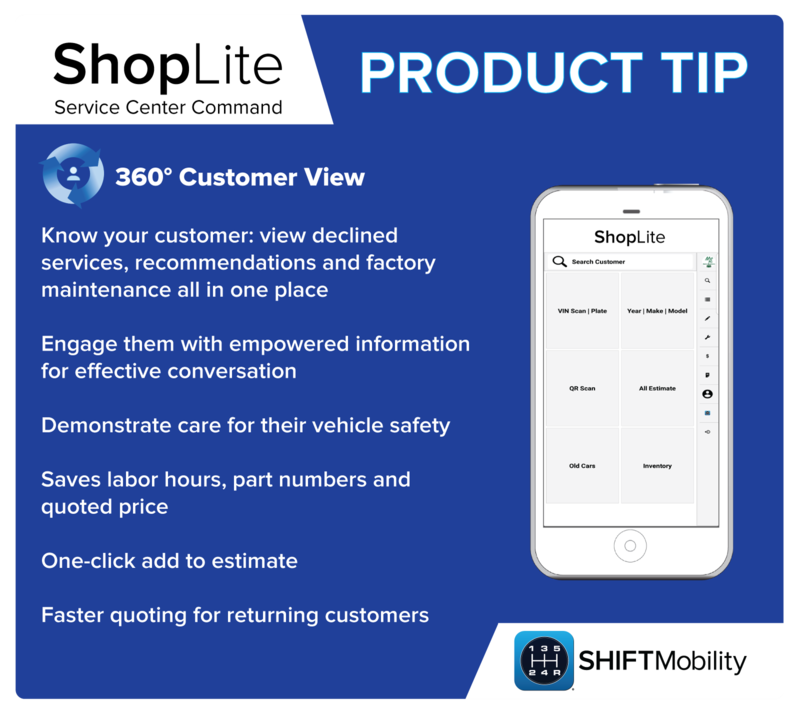 Product Tip: 360° Customer View - ShiftMobility Inc. Your customers depend on you for vehicle service and expertise; and their continued business is what keep you in business. Knowing what they need before they even walk through the door is a great way to let them know you’re looking out for them. When discussing maintenance needs and recommendations with your customers, it’s a good idea to keep track of everything you’ve talked about. To help you stay on track, we’ve added a 360° customer view feature to ShopLite. 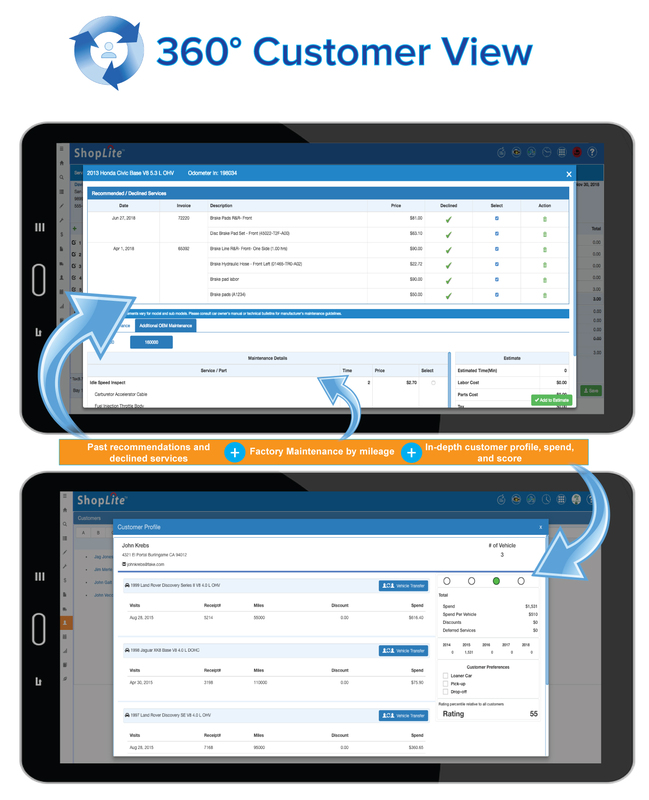 Now, when you check in a customer, a window will appear detailing past recommendations, declined services, as well as the factory maintenance schedule for their specific vehicle. Not only does this give you an easily digestible view of the customer’s history, but the intelligence you need to empower the conversation and take your customer service to the next level.